Unfortunately once an order has been placed, we are unable to add any additional items, or change the items you have selected. 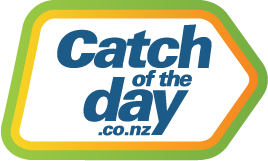 However should you require to cancel your order or change your delivery address, the team here at Catch NZ can assist you. Contact us via chat or phone for immediate assistance as our warehouse is automated, and we process orders quickly. It's possible that your order is already processing, and no changes can be made. Feel free to contact us for assistance using the options below.